Before I started going to school, my mom thought I had a reading disability. Apparently, they were trying to teach me how to read, but I couldn’t learn. There were several times when I would pretend to read something even if I really don’t. I still remember this — I have my parent’s Bible and I was lying down on their bed, “reading”, but nothing was getting through. My dad, however, would read stories to me — I blogged about it in last year’s Filipino Fridays — my dad used to read Pepito the Catfish to me in English and Filipino. I don’t remember acquiring books when I was young, but I remember being surrounded by them. I didn’t really get to pick my own books until I got exposed to Sweet Valley Kids thanks to a classmate in Grade 3, but I remember the times when I’d flip through old World Book Encyclopedias, reading random articles. I think I learned to like Roman Mythology because of that. I also remember the times when one of my “favorite” books was a grammar book, and I’d spend hours poring over it even if I couldn’t understand it. I also remember going through a business letters book — of all things, right? I didn’t really have teachers who gave me books to read, and our library didn’t really have much. But I was lucky to have a best friend that also loves to read who shared some of his books with me. In high school, my favorite class was my senior year English class because we finally wrote a book review for class. It was the perfect excuse to buy a new book that I have never read yet. There was a time in college when I stopped reading, but I guess it just happens. I’m glad that right now, I have friends who support my reading addiction (love your book club! ), and that I actually have enough money to buy books for myself. But you know what I want need want? 1. 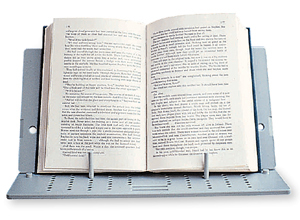 A book holder. Because it’s hard to read while eating when you don’t have something like this. 2. Something like this. Just because it’s pretty. And cozy. And…isn’t it perfect? Okay, I think I’m done! 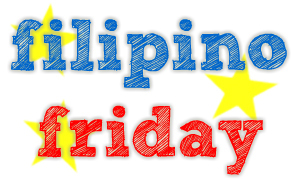 Time to hop around to the other Filipino Fridays! :) Happy Friday everyone! Hmm, in my case, my reading resumed when I was in college. I was a perpetually irregular student, and I had lots of vacant hours that were spent in libraries or student centers. I used to read short stories during those hours, and that’s when I started to love the short stories of Jhumpa Lahiri and John Cheever. “I also remember the times when one of my “favorite” books was a grammar book, and I’d spend hours poring over it even if I couldn’t understand it. I also remember going through a business letters book — of all things, right?” – This is pretty unusual to me, but I guess it suits you given your occupation. 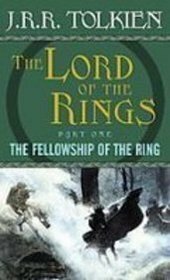 I’m also really looking forward to the rest of the LOTR books! Interesting how This Present Darkness got you re-hooked :) LOTR seems to be quite a favourite (me included). That book holder does look handy! 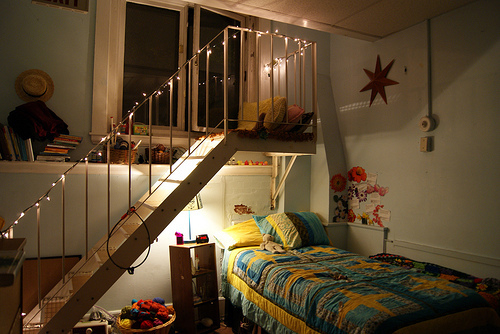 And the room, oh the room, how cozy! I agree with your Mom, it was the Bible! ;) –Love the reading nook! I miss the encyclopedias too! Going through Wikipedia just isn’t the same.